Over the next year we will be remodelling our whole house. From moving our bedroom and extending into the attic to create a huge master bedroom up there, to sorting both bathrooms, and the new en-suite, and a brand new kitchen too. I've been looking around for inspiration and ways to make our kitchen stand out from the crowd, and with the help of some nifty ideas, creating some beautiful lighting features too. When it does come to our kitchen make-over though, I will be moving to LED lights to create our foodie sanctuary with the help of www.thelightingsuperstore.co.uk. Finding the best swimsuit for adults itself is a very difficult task and parents face another challenging task of getting hold of the best swimsuits for their kids. Many children like spending their time in swimsuits during the summer season and therefore getting hold of a swimsuit that they love wearing is very important. Because children swimwear is specifically designed to appeal to different varieties of kids, multiple colours, styles and patterns are available. There are different varieties available in both girls and boys swimwear and all that parents need to do is find the swimwear that best suits their girl or their boy. Children swimwear is particularly created to appear cute while serving its function at the same time. There are guidelines that need to be followed when looking for children swimwear and especially the boys. We don’t often think about our ponds over the winter and many of us prefer to cover them over, so animals and birds don’t accidentally fall in! Spring isn’t just a time for rebirth, chocolate eggs and the first time you’ve really had a chance to relax since Christmas. It’s also a fantastic opportunity to get the pond back into action, as you’ll want the entire garden shipshape in plenty of time for warm spring afternoons and lazy summer evenings. We are currently gathering all of the supplies necessary to create our new living room. I've been wanting to redecorate for a while but have been putting it off whilst J is so young. You know what sticky fingers are like around wallpaper! What I've realised whilst scoping out everything that we need and collecting everything up, is that we can pick out the wallpaper, the carpet, the new suite, but the room isn't complete without the accessories - they are in fact what makes the room and finishes it off into the design you pick. Being a mum is hard work sometimes and it gets even harder when mealtimes hit. Now we could go for the easy options and cook frozen foods, but I am a lover of homemade and so try to cook proper meals as much as I can. It is hard though to work out what goes with what. 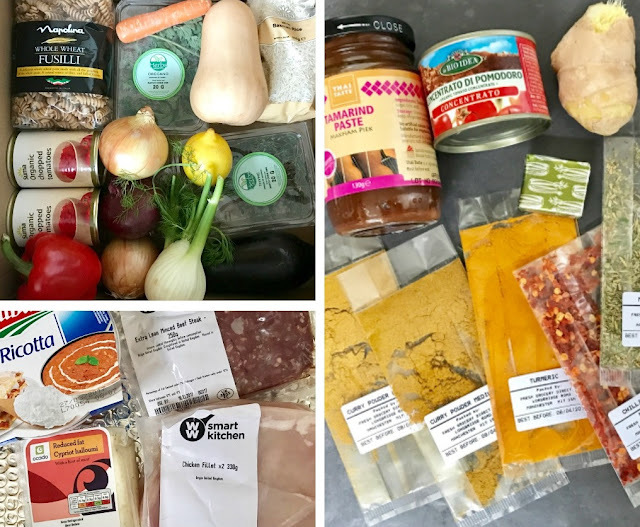 Okay, I can rustle up a good meal, but it's good to try new things, especially with the kids so they're growing up having a varied diet. That's why I love recipe boxes as it means that they send out the ingredients and tell me exactly what to do to get it to the finished meal. Some people are happy with a basic kitchen, perfect for cooking pasta dishes and chicken nuggets. Some of us fantasise about kitchens that dreams are made of. If you love cooking, you need a kitchen which is amenable to experimentation. There needs to be extensive surface space, incredible storage, and all sorts of fancy gadgets and appliances. If you love cooking, your kitchen becomes your living room, and it needs to be perfect. Just because you don’t have the funds that doesn’t mean your home should lack flair. These days it’s all about upcycling and paying attention to our eco-footprint anyway, so anyone can update their interiors. If you have a lot of passion for your home but not a lot of money, read these top tips for re-designing your interiors on a budget. The eco-friendly concept is often associated with expensive technology and projects to save the planet. The image of millionaires paying to help to regrow large elements of the Amazon rainforest pops in mind. In truth, you don’t need to one of the wealthiest persons around to help to save the planet and make room for nature in your neighbourhood. Most people don’t even know what they could do to build a greener and safer world every day. It doesn’t have to break the bank: You can help whatever the budget you are working with. When it comes to clothing purchases in our household, I'm usually the one doing the buying. Even for my husband, I end up choosing out his looks as he just doesn't have the eye for style. My husband does like wearing nice clothes, and even though he would be classed as an older gentleman, he doesn't like to dress that way. Sticking with younger styles and fashions, which I love as I don't see why we should have to change our style just because we get older. If you’ve got a loft lying there vacant, it makes sense to use it. But how do you go about converting an attic, how much will it cost, and is it worth all the effort? If you’re thinking about creating a new room in the eaves, here’s everything you need to know. Is your loft ripe for conversion? If you have an attic, you may assume that it’s possible to convert it, but this is not always the case. If you’ve got a very low ceiling, for example, or the space is small, it may not be possible to use the space for anything other than storage. To determine whether it’s possible to convert your loft, you’ll need to contact some building firms like detaildevelopmentsltd.co.uk. Once they have explored, they will be able to tell you whether the plan would get the green light, and give you an idea of cost. In most cases, planning permission will not be required, but there are regulations and stipulations in place, so make sure you’re doing things by the book. Buying a house is a stressful process for anyone, and if it’s your first house you’ll be ridiculously excited at the prospect of having something with your name on that is exclusively yours. As first-time buyers, you’re probably thinking about looking for a house that suits you now, as looking too far ahead isn’t the done thing. Plus, you can always sell your house and buy again anyway, right? As I'm coming up to turning 30 years old (Ahh! How did that happen?) I look back and don't remember much that doesn't include my children or my husband. But I always remember trips with my mum. Okay, none of us could drive at the time so it was actually trips with me, my mum and my dad, but he would usually be in a zone of his own driving and listening to The Eagles on repeat. So it ended up being just me and my mum chatting on journeys. After what seems like endless months of grey skies and dark mornings, the sun has finally appeared, and the countdown to summer is on! When you’ve got kids, nice weather can make all the difference when it comes to planning family outings and short breaks. If you’re looking forward to some family-friendly spring/summer adventures, here are some great ideas. It’s not often that we get the chance to make the most of the beautiful beaches in the UK, so if sunny weather is forecast, don’t waste the opportunity to splash around and build some sandcastles. Book a b & b in Blackpool, get your pulses racing at the Pleasure Beach and enjoy a donkey ride in front of the Blackpool Tower or head over to Filey or Whitby for a day of outdoor fun topped off with fish and chips. Down south, you can catch rays on the golden sands of Brighton, Poole, Exmouth and Perranporth. A day at the beach is a great, affordable day out, which you can easily extend if you want to get away in the half-term holidays or you’ve got a free weekend coming up. As a mum to three children, I know full well that some times I will be left with my heart in my mouth as they go off in to their adventures and push the boundaries to reach new heights. Whether this is trying to climb the highest tree, or zooming around on their skates. us parents have a raw deal when it comes to watching them fly around without a care in the world. I do think it is great for children to get outdoors and show off their adventurous side though. And with the weather being so lovely this week, it has been amazing to see the children pushing themselves and trying new things. Having a hobby is a great way to pass your free time. Being able to wind down and do something you enjoy is an important way to take your mind off work too. But what happens when your hobby has a chance of turning into a full time career? Living off something that you love doing is rare, so when you have the chance of making that switch, do it! And if baking happens to be that particular hobby, turning it into your career should be a piece of cake; here are 5 tips to get you started! Life as a mum to little ones is full of precious moments, but even though you might have dreamed of being at home with the kids, there are times when you can feel a little bit isolated and lonely. It’s not always easy to combine looking after a young family with a social life, so you have to find nifty ways of being a good mum and making sure you don’t go crazy because you’re not getting enough adult conversation during the day. If your social life has shrunk to the five-minute chat at the school gate, try some of these ideas to become more sociable. When you’ve had a baby before, you realise that spending hundreds of pounds on a nursery is a bad idea. Not because you don’t want your new addition to have a lovely bedroom but because it’s not necessary. The fact is that babies outgrow their nurseries incredibly quickly, so spending a large sum of money on creating the perfect space is somewhat of a waste. The good news is that even if you decide to decorate your new addition’s nursery on a budget, you can still make it a beautiful space. Believe it or not, creating a beautiful nursery on a budget is much easier than you would think, it just takes a little creativity, that’s all. With that in mind, below are a selection of nifty nursery design ideas for when you’re on a small budget. One of the top rooms you will use the most in your home is the family bathroom. After all, it’s normally bustling with life in the mornings and evenings. And as it’s so essential, you need to make sure it’s in top form for your family. And you can do this via a number of easy updates. In fact, here are some unique ways to update your family bathroom. The first thing you should do is add some tech in the bathroom. After all, it’s an excellent way to keep your kids busy while in the bathroom. And it’s a good idea to move with the times when it comes to your bathing quarters. One thing you might want to get is a tablet holder. You can get many which you can attach to the wall and then pull out when your kid is in the bath or the shower. That way, they can enjoy their bath while watching their favourite TV show or movie. And you could even get a phone holder for the bathroom too. That way, you can ensure it doesn’t get wet in the bathroom. And it’s still easy to get to if you need to answer a call or text while you are in the bathing quarters! When you’re a mum to young children, it’s very easy for time to get away from you and to end the day feeling like you haven’t achieved very much. That’s when setting yourself a minimum set of goals every day can come in really handy - especially on those days when you feel like life’s all a bit too much. Being organised is a lot easier if you write things down. Then you can tick them off as you go along. Maybe you’ve got to fill in a tax return, or make the family dental appointments. Some things will take hours, others just a quick phone call. Don’t be over-ambitious and aim to do more than you can manage; just use a to-do list as a way of prioritising what’s most important to get completed each day. 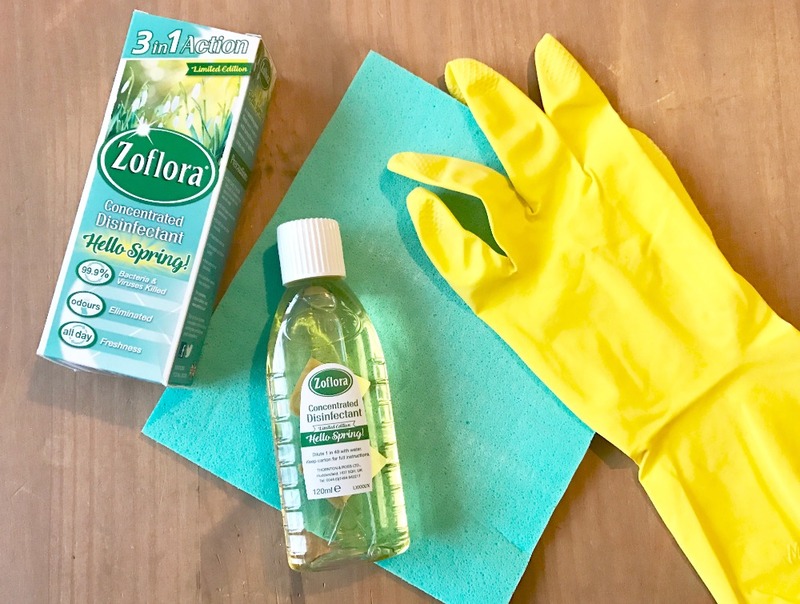 As a bit of a clean freak, I love trying out new products or new scents of products and so when I saw that Zoflora had released a special Hello Spring, Limited Edition fragrance, I new that I just had to give it a try. Zoflora is an easy to use, multi-room and multi-use disinfectant that banishes 99.9% of bacteria and viruses. To use you simply dilute in water and wipe or spray around your home, you can also pour it neat down drains. When it comes to having 2 minutes peace - which doesn't happen that often, I love nothing more than having a nice relaxing bath with bubbles and scented soaps galore. It's not often that I treat myself and so I do like to indulge in a little light therapy at The Yorkshire Soap Company to stock up on bath treats. Founded in 2004, The Yorkshire Soap Company started it's life in a small kitchen at home, with a handful of soapy ingredients, some cake moulds and baking cases, and this was all it took to start up one of my favourite soap companies. As months of trying to conceive pass, and one period shows up after another, many couples find themselves sitting in a fertility clinic waiting for answers to this devastating puzzle. When infertility rears its ugly head, some men and women find themselves considering other options in an effort to obtain the family they’ve always dreamt of. One of those options is donor egg IVF. I’ve written quite a few articles on selling a home. I’ve talked about how to get your home ready for a sale and what to do if you’re sick of waiting for your home to sell. But one of the things I haven’t touched on is what makes home buyers avoid your house completely. They stop thinking about buying your home and start looking at the one across the street. These are some of the things that you’ll need to fix in your property before you consider putting it on the market.